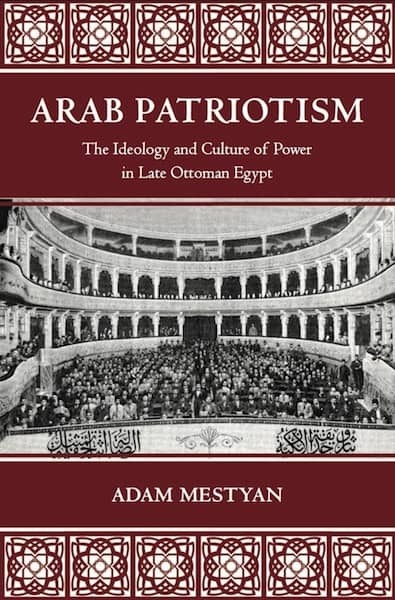 Adam Mestyan‘s first monograph is Arab Patriotism: The Ideology and Culture of Power in Late Ottoman Egypt (Princeton, NJ: Princeton University Press, 2017). The book is available at Amazon in hardcover and E-book formats as well. Please find here the press release. This book challenges the received narrative that Arabism in general and Egyptian territorial nationalism in particular emerged in opposition to the Ottoman and British Empires and primarily from below. The author argues instead that early Arabic nationalist culture was produced in dialogue with the localized Ottoman power by educated Arabs who integrated Muslim and European cultural forms in their search for political inclusion and patronage. Based on archival research in Egypt, Turkey, France, UK, and the USA Arab Patriotism offers the first scholarly investigation of the Egyptian khedivate, between the 1860s and the 1890s, a period that witnessed a global wave of monarchical restoration and reformation. The khedivate was a uniquely hybrid polity – ruled by the Ottoman Empire and later occupied by the British – that combined dynastic and nascent nationalist interests, and spurred a range of cultural productions and practices.